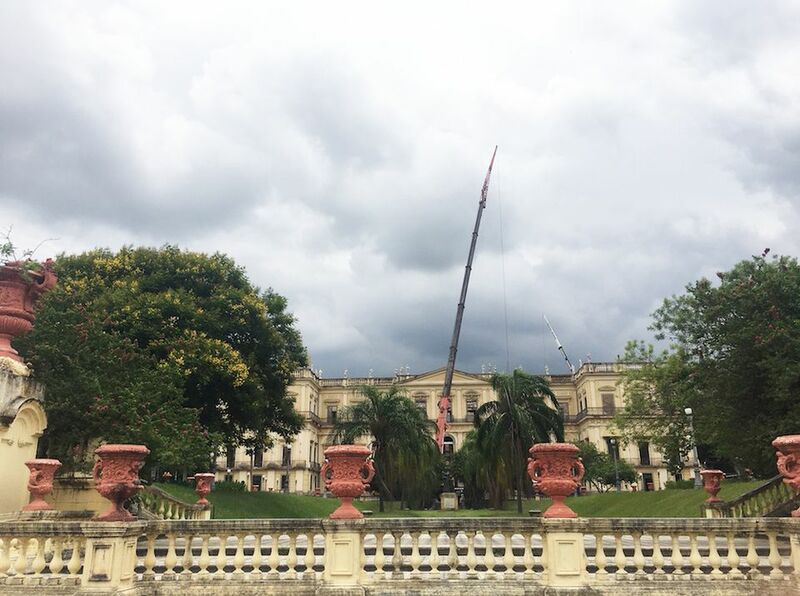 Rio de Janeiro’s National Museum was destroyed last September because of an overheated air conditioning unit, according to a report released by the Brazilian federal police on Thursday. The fire started around 7:30pm in an auditorium on the ground floor of the building. According to the report, the museum’s smoke detector control system was not activated, there were no sprinklers or hoses, the security cameras were inefficient and there were no fire doors to contain the flames. The federally-funded museum, founded as the residence of King João VI of Portugal in 1811, had been severely underfunded for years. Many experts and museum staff reported the risks of fire, floods and other building degradation. The museum spent around $4,000 on safety equipment from 2015 to 2017. Since the disaster, the museum has partnered with Google, the Smithsonian and several other institutions and governments to launch initiatives to help researchers and recovery efforts. Most of the museum’s collection was lost in the fire, although in the seven months since the tragedy experts have been able to uncover thousands of pieces, including treasured items such as Luzia, the earliest human skull discovered in South America.